I hope everyone had a fabulous Mother's Day Weekend. Yesterday we went out to dinner with my mom, Scott's parents, and Scott's brothers family. It was such a nice time. I really enjoyed it. Thanks Scott and Ethan for a wonderful Mother's Day. Last night I realized I never made any videos for this coming week. I think I needed the weekend to relax after the two week marathon of video making :). Glad to be back to my normal schedule....I really struggled on what to make until I came across the book feature on Elegant Edges. I really like all those shapes and welding them together to make a card base makes this cartridge even more versatile. TY for the video. I envy the bow. Could you do a slow-mo on that? And I wasn't sure what the book feature was for. On YouTube someone used the book on page 24, cut two (no shift) and ran ribbon through the holes as her binding. But that wouldn't work with the other ones, would it? So the book feature is really for what? I'm off to shop Paper Trey Ink!! Another "I need" cartridge. What an awesome feature! Loved this card...very cute! I also loved how quickly it came together!!! Thanks...as always for your videos! 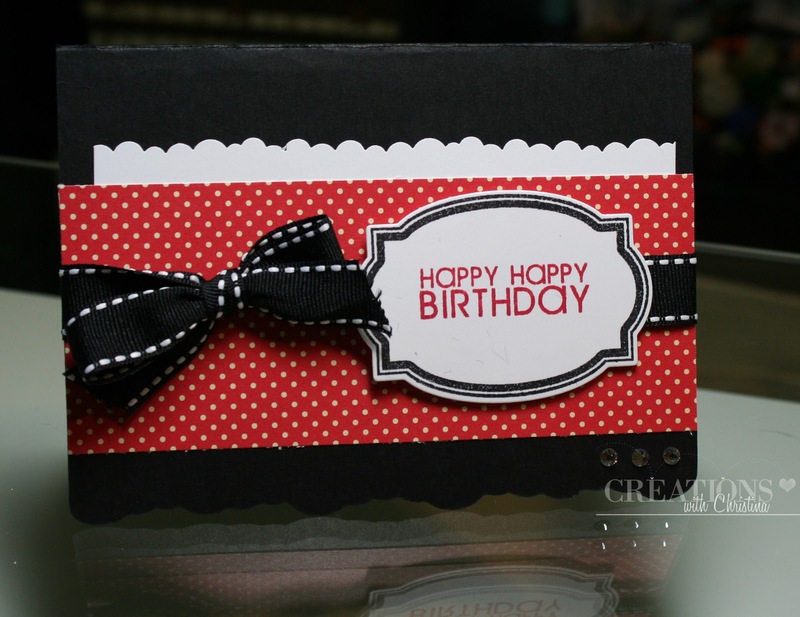 Thanks for another wonderful card and for using your IROCK. I have one that I have never used but obviously it is super simple so I will dig it out soon. You Rock! Thanks for the demo. I enjoyed seeing the use of the Papertrey die and coordinating stamps; also the IRock. I knew there was something you were supposed to do with those Swarovski crystals, but didn't know what. Very pretty! Love the fillable frames die and stamp. Thanks for the video. I just purchased a lot of swarovski crystals on ebay, the hotfix ones. I found a seller by the name of Tami's Place. Her prices are a little higher the the other sellers but the crystals are absolutely gorgeous. I've decided that from now on those are the only kinds of bling I'll be putting on my cards. I thing they are amazing. I've got the light pink, the plain crystals and now the aurora borialis ones. I'm in love. Your card was amazing and the crystals just added the right amount of bling. I love watching your videos and never miss them. Thanks for another great one! I'll have to try updating the software again on my Cricut E. I did it recently and the EE cart didn't load. Now that I know its available I'll try again. Great card! enjoyed your video very much. you packed a lot of different products in this one card. thanks for sharing with us. Love it! Simple, fast and beautiful! Tfs! I absolutely love that card! Thanks for the tutorial Christina! perfect! it reminds me of minnie mouse! Love your videos! Where do you get the Jenni Bowlin inks? Love your videos. Thanks for showing how the iRock works. I always wondered how it works. Great job as always and so inspirational! Hi Christina, Just wanted to stop by and let you know you have a award waiting for you at my blog. love your card! Amy B. Uh Thanks Christina! I just placed an order at Papertrey Inks for the fillable frames and stamps - they are soooo cute! I really really need to stop watching videos cause they keep making me buy stuff! I also want the i-rock but I can get that at a big box store with a coupon. Guess I'll be doing more shopping this weekend. Wow, I haven't seen many projects with this cart. Thanks for showing us this feature. Great card, as always! Christina I loved this card... very cute. I'm sorry I have not posted to you in so long but I am now finally getting my internet back so I have a ton of catching up to do and lots of your blog posts to get through.